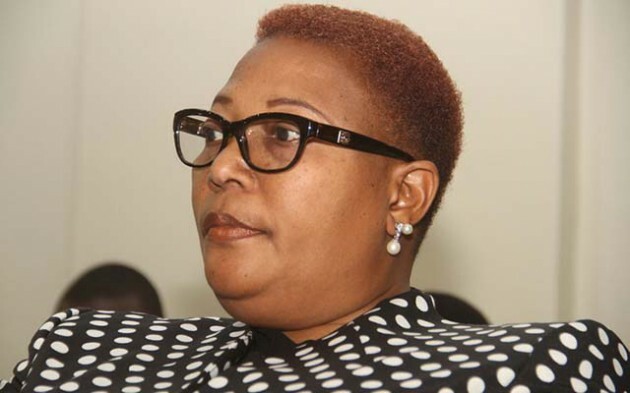 Why not Madam Khupe for MDC-T president? As the euphoria ignited by the coming in of the new dispensation in Zimbabwean politics dies down into a more natural state of joy and optimism, Zimbabweans are now being entertained by the developing circus in the opposition MDC-T party that promises to explode into a full-blown Royal Rumble. While the MDC-T has always put on a brave face and maintained that all is well and they have a “democratic and constitutionally guided” succession plan, the recent admission and exposure of the extent of that party’s leader, Morgan Tsvangirai’s illness, has blown that myth out of the water as party officials jostle for Tsvangirai’s coveted seat. With the latest and possibly strongest indication yet from Tsvangirai that he might soon throw in the towel, contained in his New Year’s message, the bloodletting can only get worse and even claim a few scalps. As the succession debate roars within and outside the MDC-T, political analysts and some of that party’s supporters seem to be agreed that either co-vice presidents Nelson Chamisa or Elias Mudzuri should take over from Tsvangirai. Whether this is a democratically arrived at conclusion or a result of coercion and deliberate manipulation remains to be seen. However, what is poignant in the MDC-T succession inferno is the seeming erasure of the only elected vice president of that party, Thokozani Khupe. Some have suggested that she, through no fault or design of her own, possesses two characteristics that have disqualified her from the race — she is a woman and she is Ndebele. If that indeed is the reason why Khupe is being treated as non-existent, then it is truly saddening that in this day and age, in 2018, those two reasons are still even considered for one to hold political office, worse in a party that prides itself on being the “godfather” of democracy. For the record, Thokozani Khupe is currently the only elected vice president of the MDC-T. The “Gutu boys”, as some refer to Nelson Chamisa and Elias Mudzuri, were appointed by Tsvangirai purportedly with the support of that party’s National Standing Committee. A brief search on the net brings up Khupe’s notable political career thus far. In short, according to Wikipedia, Khupe started her activism in the 1980s when she was part of a strong trade union movement agitating for better working conditions. She was the Zimbabwe Amalgamated Railway Union Secretary from 1978 to 1999. Khupe went on to become one of the founding members of MDC and became a National Executive member in 1999 when that party was formed. At MDC, she was elected Member of Parliament for Makokoba in 2000 and has retained her seat to date. In 2006 she was voted MDC-T vice-president, a position which she still holds. She also represented her party in the Government of National Unity in 2009 when she became the first ever Deputy Prime Minister in the history of Zimbabwe. On the academic front, Khupe holds a Diploma in Information Technology from the University of Turin, Italy(1999), a Bachelor of Arts degree in Media studies from the Zimbabwe Open University (2004), a Masters in Business Administration with the National University of Science and Technology (2009) and a Doctor of Philosophy degree. Sadly, this illustrious political career, by any standards, and more than adequate academic qualifications, are apparently not enough to guarantee her mention or consideration in the MDC-T succession matrix as preference is given to those with certain genitalia. To set the record straight, this writer is not saying Mudzuri, Chamisa or any other male species with ambition in the MDC-T should not aim for Tsvangirai’s post. Neither is the writer advocating for Khupe to be favoured simply because she is a woman. The call is simply for all the leading stalwarts in the MDC-T to be treated as equals and given due credit. Khupe has done more than prove that she is capable of holding her own on the political front. If anything, Tsvangirai’s so-called anointed successor, Chamisa’s claim to fame is his youth and handsomeness. It is the blatant attempt to erase and trivialise the existence and contributions of Khupe, as well as other females in the MDC-T for that matter, that leaves a bitter taste in the mouth. For all its pretensions to democracy and gender-sensitiveness, the MDC-T succession issue has laid bare the fact that the party still has a long way to go in terms of becoming a truly democratic and all-embracing entity that can progressively move the country forward.